For most of the three-week-old Harvard admissions trial, the only voices ringing out in court have belonged to lawyers and administrators. Attorneys and officials have spent hours and hours debating the legality of the College’s race-conscious admissions process, fighting over graphs and charts that different statistical experts argue prove or disprove allegations that Harvard’s admissions process is discriminatory. But, for one whole day this past week, students took over Courtroom 17 in the John Joseph Moakley United States Courthouse. Eight current and former Harvard students - all of them non-white - stepped behind the witness stand Monday to make the case for race-conscious admissions policies. Each drew on their personal experiences, pointing to childhood bullying, fears over Harvard’s whiteness, and comfort found in campus affinity groups to assert that a race-blind admissions process would decrease Harvard’s diversity and fundamentally worsen the College experience. “Race-blind admissions is an act of erasure,” Sarah F. Cole ’16 said in court. 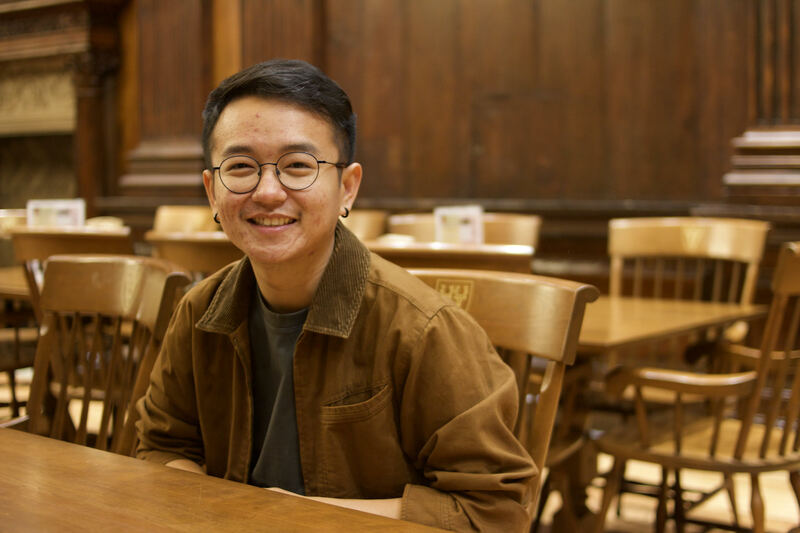 “To not see my race is to not see me.” Thang Q. Diep ’19, who was born in Vietnam, testified that he would not be at Harvard now were it not for the school’s consideration of race in the admissions process. “I personally benefited from affirmative action,” Diep said. “It allows my immigration history to be taken into account, my own experiences taken into account.” In the trial, the University is battling charges that it unfairly rejects qualified Asian-American applicants in favor of less deserving Harvard hopefuls of other races. Anti-affirmative action advocacy group Students for Fair Admissions first raised these allegations in Nov. 2014 when it sued Harvard over its admissions procedures. The trial, set to conclude Friday, could wind up before the Supreme Court - and, if the majority-conservative court sides with SFFA, it could mean the end of affirmative action in the United States. The five undergraduates who testified Monday are Sally Chen ’19, Thang Q. Diep ’19, Catherine H. Ho ’21, Cecilia A. J. Nuñez ’20, and Madison A. Trice ’21. Here, The Crimson breaks down who they are and where they’re from - and what drove them to testify on behalf of their eventual alma mater. When Catherine H. Ho ’21 turned 14, she started volunteering at the Vietnamese community center based in Louisville, Ky., where her mother learned English. It was the first place Ho’s mother came after fleeing war in her native Vietnam. Both Ho’s mother and father immigrated to the United States as refugees in the 1990s - an experience Ho said shaped her decision to testify in the admissions trial Monday. 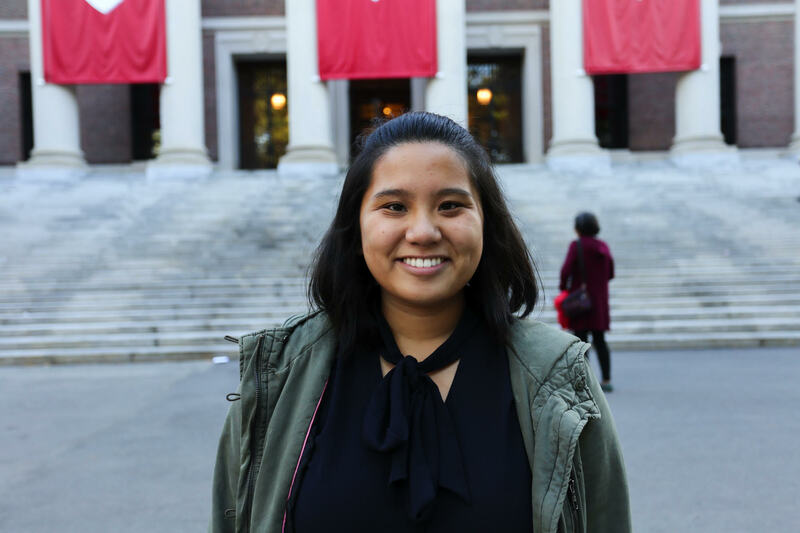 Now a Harvard sophomore, Ho serves as co-president of the Asian American Women’s Association. Over the summer, the NAACP Legal Defense Fund approached AAWA and asked the group to sign an amicus brief arguing for the benefits of diversity on Harvard’s campus. Though the brief was meant to represent the views of several student groups, one person from AAWA had to physically sign the affidavit. Ho said she was thinking about her parents when she grabbed the pen. She thought about them again when she stepped behind the witness stand in court. 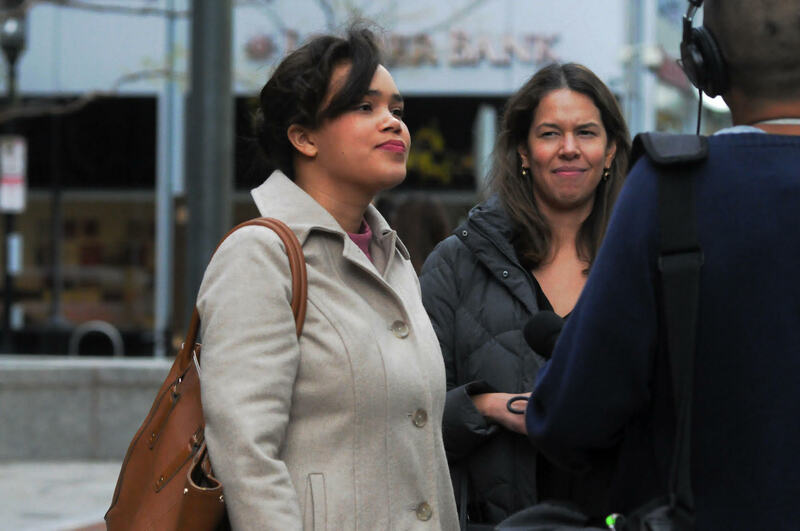 Ho spent months preparing before she and seven other current and former Harvard undergraduates trekked to the federal courthouse in downtown Boston early Monday morning. When she took the stand around 11:30 a.m., Ho said she “locked in” on two things to calm her nerves: the face of the lawyer questioning her and her desire to tell her family’s story. Over the course of her roughly 30-minute remarks, Ho - like the other seven Harvard witnesses - drew on personal experience to make the case for affirmative action. She spoke about her parents, her childhood, her Vietnamese heritage, and her time leading AAWA. Some experts have predicted that, if the Harvard case reaches the majority-conservative Supreme Court, it could spell the end of race-conscious admissions in the United States. Reflecting on what such a change would mean, Ho pointed to the fact that she wrote about the community center in her college application. - Staff writer Shera S. Avi-Yonah reported this story. When Harvard senior Sally Chen ’19 took the witness stand Monday, she had a clear message: her ethnicity is a fundamental part of who she is. She said her college application would have been incomplete had she left out the fact she is the child of a Chinese mother and father who immigrated to the United States. She said she has sometimes confronted bias and felt alienated on Harvard’s campus, too. But she also noted that her studies at Harvard have allowed her to feel more connected to her background. 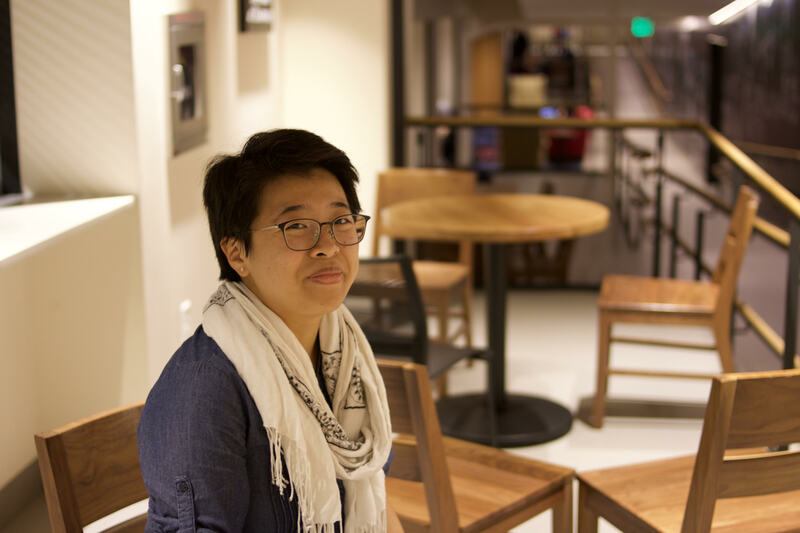 Chen, who is pursuing a joint degree in History and Literature and Women, Gender, and Sexuality, said she has particularly enjoyed taking classes related to Asian-American issues. Chen, who was the last student to testify, said in a Wednesday interview that she was not allowed to watch any of the other witnesses’ remarks before she herself stepped to the stand. The setup heightened her nervousness, Chen said. She added she was satisfied with her performance in court. - Staff writer Delano R. Franklin reported this story. Thang Q. Diep ’19 had already shared much of his life story - and part of his Harvard admissions file - with lawyers and the public in an effort to show how his ethnic identity shaped his worldview and his life. But he still had more to say. When he took the witness stand Monday, Diep, who was born in Vietnam but grew up in Los Angeles, Calif., recounted tales of childhood bullying centered around his race. Diep remembered how elementary school classmates mocked his accent and recalled the burning shame he felt at the time. He told the court he grew up thinking about college as a place where he could reclaim his Vietnamese identity. When it came time to apply to Harvard, he took the first step by writing about his ethnicity in his personal essay. “I was tired of erasing my identity for so long... so I brought the power back in my college essay,” Diep said. Diep first got involved with the admissions trial several months ago. After conferring with his lawyers, he chose to submit unredacted portions of his Harvard application in court. He said he believes his application materials prove the College valued his ethnic identity in the admissions process. In court Monday, Diep took that argument one step further - arguing that Harvard’s race-conscious admissions not only did not hurt him, they helped him. Regardless of how and why he got here, Diep has sought to take full advantage of campus extracurriculars. He serves in a leadership role at the Phillips Brooks House Association, a public service group, and volunteers with the Boston Refugee Youth Enrichment program, an initiative that partly serves Vietnamese immigrants living in Dorchester. Diep said in an interview after his testimony that he shared his story Monday to demonstrate the diversity within Harvard’s Asian-American population. He said he hopes others see the complexity of his life story. For Cecilia A. J. Nuñez ’20, the decision to testify in the admissions trial was deeply personal. Nuñez - who is African-American and Mexican-American - serves as vice president of Fuerza Latina, a pan-Latinx student group, and also sits on the board of the Phillips Brooks House Association, an umbrella public service organization for which she coordinates a program that works to support teenage refugees. She said she chose to speak in court because the lawsuit feels like a “threat” to members of the groups she leads. Like the other student witnesses, Nuñez said she opposes the introduction of race-blind admissions practices at Harvard because she believes this system is unfair to applicants of color. Nuñez noted that, though the Harvard application process felt “straightforward” to her, the same is not true for all people of color who apply to the College. On Monday, Nuñez testified for roughly half an hour, speaking about her time attending a small and academically rigorous Catholic high school where she was one of two black students. Nuñez, who grew up in San Gabriel, Calif., also discussed her work for Fuerza Latina and PBHA. “I think I'm - I don't think excited is the right word, but I think I will be closely following the case as it most likely continues through the circuits, and I hope that more communities on campus and especially communities of color continue to do so as well,” Nuñez said. “It's going to be an important issue for a long time, even after this case,” she added. - Staff writer Molly C. McCafferty reported this story. Madison A. Trice ’21 said in court Monday that her “love” for the people she has met at Harvard convinced her to step behind the witness stand in the John Joseph Moakley United States Courthouse. Trice, a sophomore in Kirkland House, spoke during her testimony about her involvement in the Black Students Association and the Association of Black Harvard Women, for which she serves as political chair. She noted the “critical mass of minority students” at Harvard heavily influenced her decision to matriculate at the school. She observed that, at other universities, students mainly socialize with people of similar backgrounds. That’s not the case at Harvard, she said. Trice said that, during Visitas - Harvard’s visiting weekend for prospective freshmen - last year, she saw that College students truly value diversity. Trice could not be reached for an interview. Trice testified that, when touring the yearly Harvard activities fair as a prospective student, she saw a black upperclassman break into tears of happiness after spotting a crowd of black incoming freshmen sign up to join affinity groups on campus. 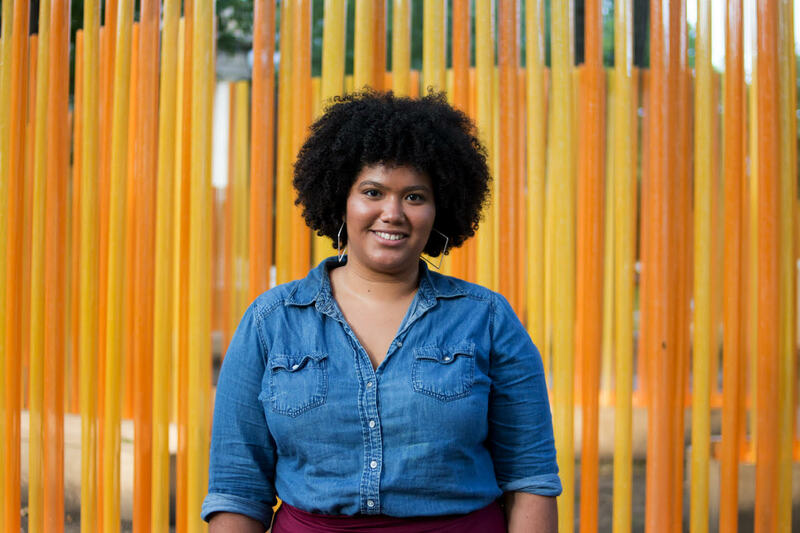 “I wanted to be on a campus that was excited by diversity,” Trice said. Trice said Monday that she finds the diversity of Harvard’s campus a welcome change from the private, wealthy, and overwhelmingly white high school she attended in Houston, Texas. Trice said that, in high school, she was more often than not “one of the only black students in the room.” And, though she had good grades and test scores, she felt out of place in her high school’s social scene. “It was always about being different and black,” Trice said. When she sat down to craft her application to Harvard, Trice felt she had to write about the racism she confronted in high school. Trice said the race-related bullying she faced negatively affected how she saw herself, making it harder to cultivate self-love. Trice said it would have been “very difficult to articulate herself” without writing about her race. Now a year and a half into college, Trice said she finds it “so wonderful” to watch incoming black freshman discover a home at Harvard. She said that, without the College’s race-conscious admissions process, “the richness of Harvard” will diminish. A previous version of this article misstated the name of the Black Students Association. It has been updated. - Staff writer Alexandra A. Chaidez reported this story.